"In my lifetime, I've understood diet played a big role in the quality of my life, so I ate what I considered to be good for me. From childhood, the litany of ‘eat your vegetables’ was drummed into me, sometimes literally. Naturally, me being Southern, there was always meat served with those veggies, and most times it was used to flavor them. 64 years later, I meet the Esselstyns, and they say ‘eat your vegetables, but eat them raw or cooked with no oil!’ WHAT?! But, I tried it. It's truly amazing what the things I already liked really tasted like. Even more amazing: the number of plant-based creations that are possible. I won't go into the gigantic health benefits that came my way as a result of my decision to go plant-based, but I will say that 30 lost pounds and an infinite number of compliments later, I'm more than happy. I hope you'll treat yourself to one of these recipes and just open that door. I guarantee you won't close it!" 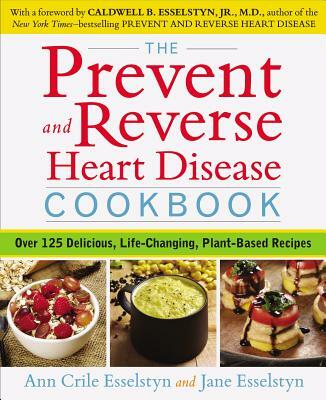 "This is a great cookbook for treating and reversing heart disease as well as a wide variety of other ailments and diseases. So hear the whisper of your heart and do it a favor. Try these recipes and see for yourself what a fantastic difference they can make for your health. Dr. Esselstyn’s amazing accomplishments are backed up by Ann and Jane’s health enriching recipes."